Is Shaklee the Right Match for your Practice? Welcome to our Legacy of Health Website. We're H Bartz Family Inc and we've been Shaklee Independent Distributors since 1969. 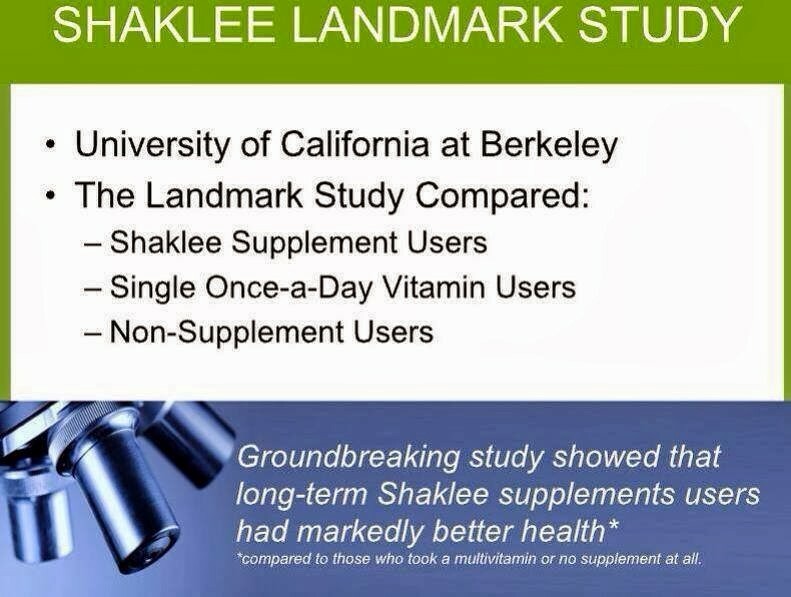 Shaklee is the Number One Natural Nutrition Company in the US and has lead the nutrition Industry by for over 100 Years. We, at Legacy of Health, are here to provide you with the very best customer service and the best products, as well as offer a fully integrated Website where you can learn how to build Health and Wellness and live the Shaklee Lifestyle! Consider us your personal contact to a life changing opportunity. Shaklee has long been far ahead of the curve with testing procedures that far exceed the NSF and USP seal of certification. Shaklee participated on the board that developed dissolution and disintegration standards adopted by the U.S.Pharmacopoeia (USP) to provide standards for the NSF and USP for certifying supplements. Shaklee is one of only 14 labs in the entire nation to be selected as a participant in the National Institutes of Health / Association of Analytical Chemists methods development project. Shaklee Corporation has pioneered the practice of studying the diets of elite athletes and testing products to help make landmark expeditions and record-breaking achievements possible. This research has translated into dietary recommendations and high performance nutritional products for elite athletes and explorers as well as recreational athletes. ​There has been a dramatic increase in the use of nutritional supplements over the last several years, with many relying on these alternatives as a means to prevent and treat disease. There is a common belief held by many that all supplements are created equal. This belief has led some to seek the best value, not the best quality. Some people think retail stores have more credibility than direct marketing companies. Nothing could be further from the truth! A consumer should know that the grade, form, purity, bioavailability and third party verification all contribute to the effectiveness of the product they're ingesting. Health Food Stores carry a variety of products but do not have them identified by quality. It's a 'Buyer Beware" situation. To make matters worse, most consumers think that there are four different categories or "grades" of vitamin supplements. The truth is that there is no true grading system of vitamins because the FDA does not regulate supplements. It's that simple. It's also the law. So, what then are you looking at when you see these Four Grades listed by other companies on the internet? Simply, they are categories put together by clever marketing executives who have no knowledge or regard for the law - Just Clever Conversations. The first category falls under Feed or Agricultural Grade which is intended for veterinary purposes. These supplements are not to be consumed by humans because they are specially formulated for animal's digestive needs. They also are intermixed with antibiotics to help keep the industrial farmed animals disease free. The second category is Cosmetic or Nutritional Grade. These supplements are widely found at health food stores, drug stores and large chain stores. Most of these supplements are not tested for purity or absorption and many times may not have as high of concentration of the active ingredient as is labeled. A 2013 Journal of the American Medical Association (JAMA) analysis reported that “the FDA Tainted Supplement Report listed 332 adulterated products since December 2007.” But, it found, “only 222 of these products (69%) were recalled by the FDA.” In 2015 many supplements found at Target, Walgreens and GNC were discovered to be deficient or even lacking any of the active ingredients listed on their labels. [source Washington Post Feb 2015] Adulterated supplements should be no surprise. The third category you may see advertised is called Medical Grade. An example of these supplements would be prenatal vitamins. These supplements claim to be a higher grade, but because there is no regulation on supplements, there is no way to actually know their quality. They can also be pharmaceutically altered. Unfortunately, many people believe that supplements of medical grade are better because they are prescribed by physician. Truth is, they can also be bought on-line and once again, buyer beware as there are no federal regulations on them and they are mostly synthetic. Regular consumers have started using the word ‘pharmaceutical grade fish oil’. It’s a phrase that has been used by the folks in the fish oil industry for a long time as they needed a way to rank the amount of fish oil put in capsules. To justify charging a higher premium, clever fish oil marketers coined the term pharmaceutical grade fish oil. The term stuck. What pharmaceutical grade implies is the products are tested for purity, dissolution and absorption. The term ‘pharmaceutical grade’ has become an unofficial measure of Omega-3 content. The term also implies 'pharmacy' which means drugs and synthetics. Shaklee's quality control standards are actually more stringent than what the FDA (standards) require of supplement manufacturers. Shaklee offers supplements and goes beyond the ideal of Pharmaceutical Grade. * They give each manufacturer a long list of quality control tests which are performed on the raw ingredients and then again on the final products. * They require that the manufacturer to retain samples of all ingredients and final products from each batch they run. Shaklee then conducts unannounced on-site inspections twice a year (the FDA only has manpower for inspections every 2 to 5 years). * They review all of the test performed by the manufacturer and then run their own independent tests of both the ingredients and final product. 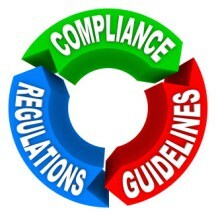 If they find any variance with Good Manufacturing Practices they report the manufacturer to the FDA. And finally, if they find any deviations from their accepted standards they immediate recall the product. Organic is a means of production; it is not a guarantee that the food is clean. Pesticides and herbicides do not respect field boundaries. Consumer's also need to have solid scientific evidence that proves their supplement are safe and effective. Most supplement manufacturers can only hope their supplements work. The only way to prove a supplement's efficacy is through double blind research studies that are published in non biased reputable scientific journals. Shaklee has over 100 published scientific studies and is proud to make them available to everyone. Click here to view our proof. Lastly, the creators of high quality supplements rarely allow their products to be sold by anyone but health care professionals or through direct distributors. Why? For quality control and to protect their reputation. Natural supplements cannot be stockpiled and left in hot warehouses for months before they are shipped. They lose thier efficacy without all the toxic preservatives that are added into store brands. Heat and time destroy the natural potency. Retail Stores have a long production/delivery system. The raw materials are produced, then warehoused, then shipped to distribution center, then shipped to a store where they are placed in the back of the shelves and moved forward to move the product already in the store. Finally a consumer comes in to buy the product. This process can take months. ​Shaklee streamlines the system: They produce the products and ship them directly to the Distribution Center who then ships them direct to individual consumer who ordered them. Shorter shelf life means higher potency – unless you are dealing with synthetic products. Do the products cost more to distribute this way? Not at all! In 2014 Procter and Gamble spent 2.4 BILLION dollars in advertising. Shaklee spends nothing on commercial advertising as their sales leaders are their advertising – thus the money goes back into Research and Development and to their Distributors. When Congress wanted input regarding supplement regulation for safety, it called on the leaders in the industry for advisement. Below is Shaklee's Chief Science Officer Dr. Bruce Daggy. RE: Shaklee has been serious about nutritional efficacy for 100 years and remains committed to science over fads. There are many reasons Shaklee is the #1 Natural Nutritional Company in the US. Most nutrition companies have 2 or 3 scientists working on staff. Shaklee has over 50 scientists with advanced degrees. At Shaklee, we have a 50-year history dedicated to the development and marketing of safe and effective products, but in fact, safety is our first consideration in development of all products. As caretakers of scientific integrity and guardians of product safety, Shaklee scientists are charged with making product ingredient decisions using safety as a strategic and critical decision driver. Scientific Commitment to Product Safety. In 2009, Dr. Elizabeth Blackburn won the Nobel Prize for her discovery of telomerase, the enzyme that replenishes telomeres – biomarkers since called the greatest predictors of longevity. Since then, she’s been researching how diet, exercise and other lifestyle habits and interventions influence telomeres, and therefore our lifespan and our healthspan. She is the newest member of the Shaklee scientific board. Most companies do not have a research and development department. They buy in bulk from generic production companies that distributes the identical product to numerous companies for thier private labeling. Therefore, they cannot support any of their products with scientific studies. Shaklee has proven scientific product efficacy that is supported by 100 published studies, over 90 of these studies are in peer reviewed in scientific journals. This year alone the Shaklee Leadership is spending 300 Million dollars in research and development under the directives of nutrition industry expert Chief Science Officer Dr Bruce Daggy. Shaklee is also leading the nutritional field in Blue Ocean product initiatives, working to find optimal health paradigms with leading university's research centers and continuing the pioneering advances in nutritional science that Dr. Shaklee began over 100 years ago when he developed the first Vitalized Minerals. ​QUALITY: By law (DSHEA), manufacturers of nutritional supplements are responsible for ensuring that their dietary supplement products are safe before they are marketed. Recently the New York Times revealed that a secret testing of most vitamin supplements at Walmart, GNC and Target had little to none of the active ingredients claimed on the label - a direct violation of FDA policy. Always Safe, Always Work and Always Green. We call it the Shaklee Difference. If you are serious about your health, you have only one company to turn to for quality, safety and effectiveness. Click on Business Leaders Name to order. ​As the author of this blog, I have based my writings upon my own experiences, beliefs and extensive research regarding the topics covered in my blog. However, I am not a medical doctor, nurse or professional nutritionist or otherwise formally qualified in this subject matter. The information contained in this blog is not intended to be construed in any manner as medical advice. Quotes are based upon the opinions of this author and others who contributed to this blog. All diet decisions should be made with approval of your health care provider. This blog is intended to motivate and encourage readers to make healthy decisions after consulting with a qualified health care professional. Therefore, please read my blog and use the information that you derive from it appropriately and at your own risk.